Hint: It involves Cynthia Rowley boots for half off. We're totally capitvated by these Infinity earrings ($32) from Etsy.com seller aroluna. 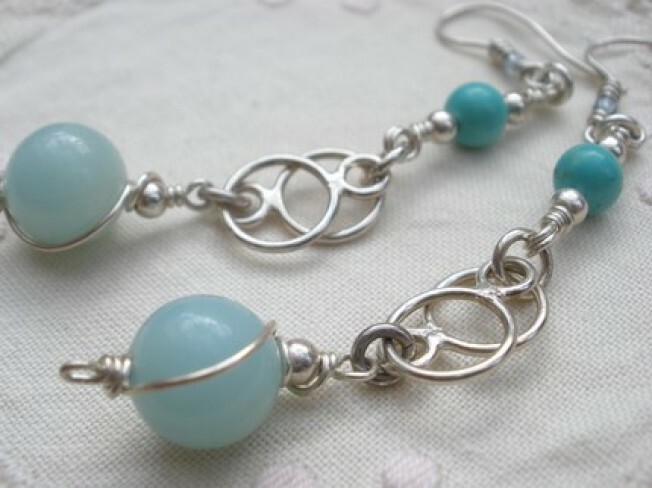 The intricate detailing of sterling silver swirls around turquoise and amazonite for a style that's both uber-modern and quasi-Victorian. BACK IN BLACK: Meanwhile, we think these Cynthia Rowley Spicy boots (were $308; now $161) might actually be from the future. The center stitch detailing makes us think high-tech buckles, the pointy toes mean Serious Business, and those slightly flaired heels -- well, we're not sure what's so futuristic about them, but just go with it.